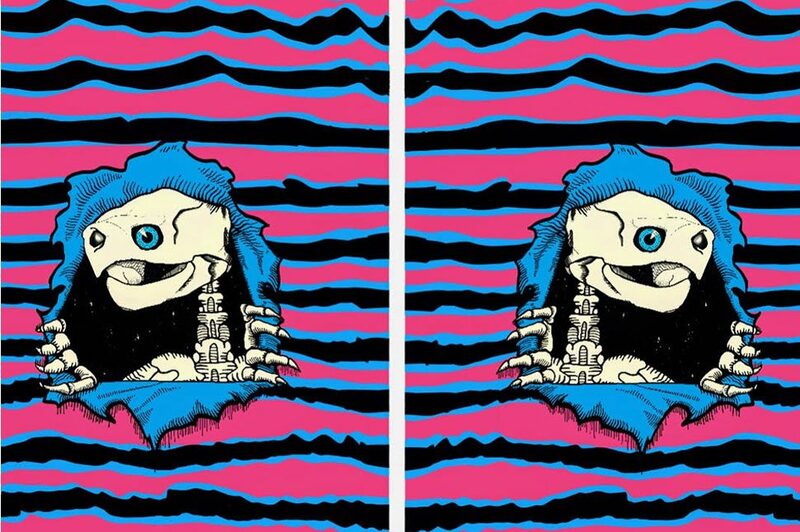 Oasis Skateboard Factory with Monique Aura and Chief Ladybird present an Indigenous inspired line of old school skateboards and street wear. 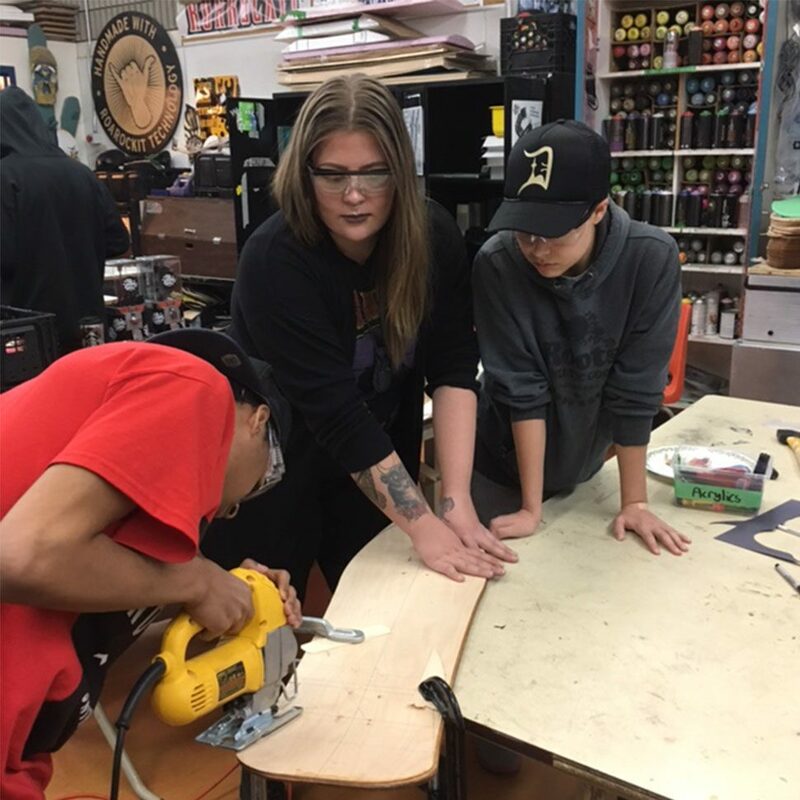 Students at Oasis Skateboard Factory, an award winning alternative TDSB high school program, earn credits by running a skateboard and design business. 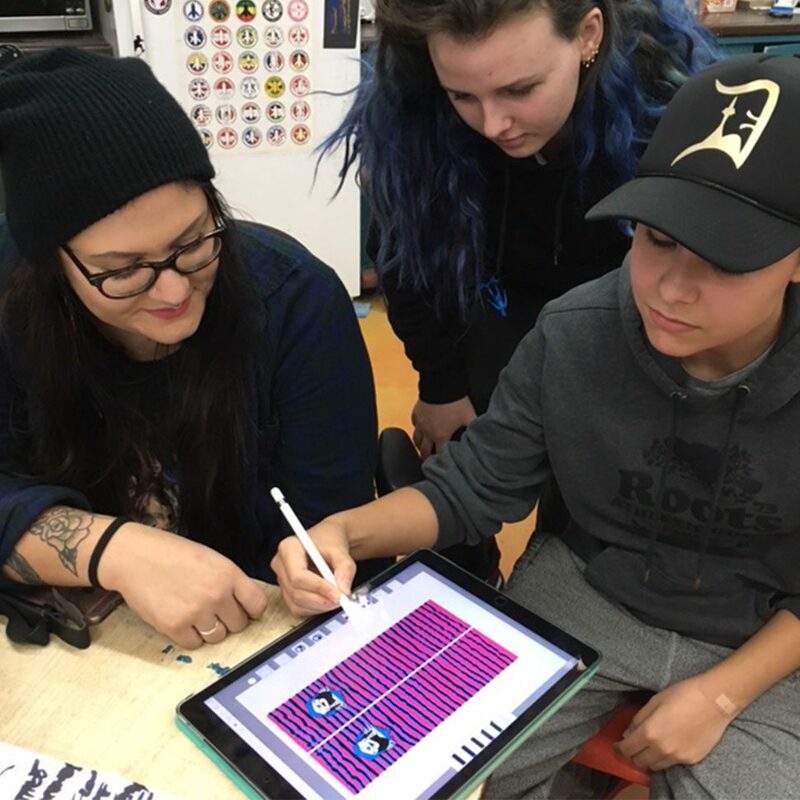 Working in collaboration with local artists Aura and Chief Ladybird, students learned about skateboarding’s roots in surfing- an Indigenous technology from the South Pacific. The artists and students take it back, way back to skateboarding’s roots for their new line on display at Sovereign State.